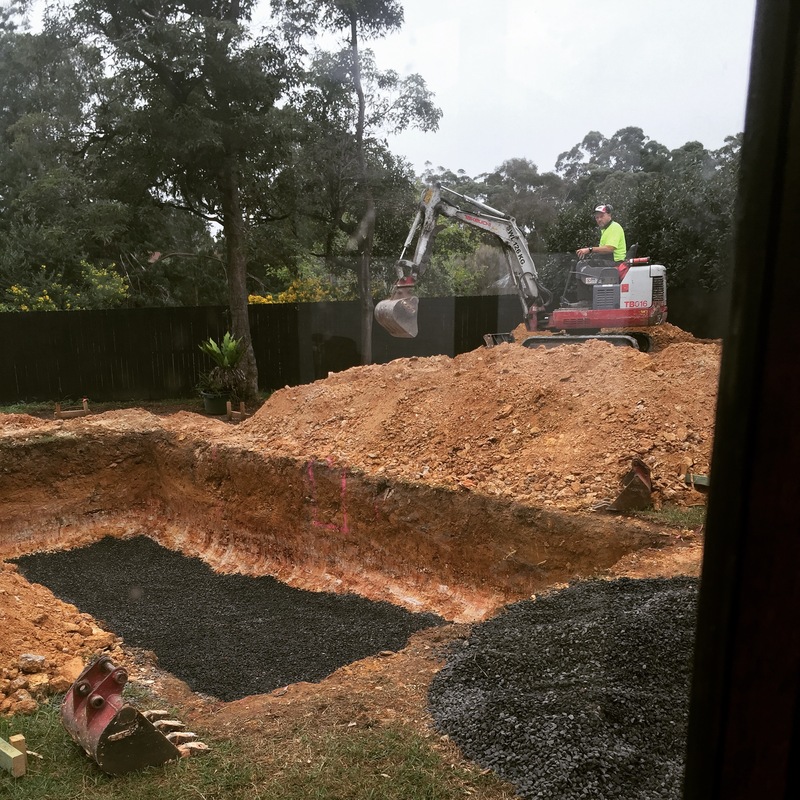 Digging begins | Sydney House. Here’s a photo of our excavator turning the soil for the first time in late March. Very exciting! 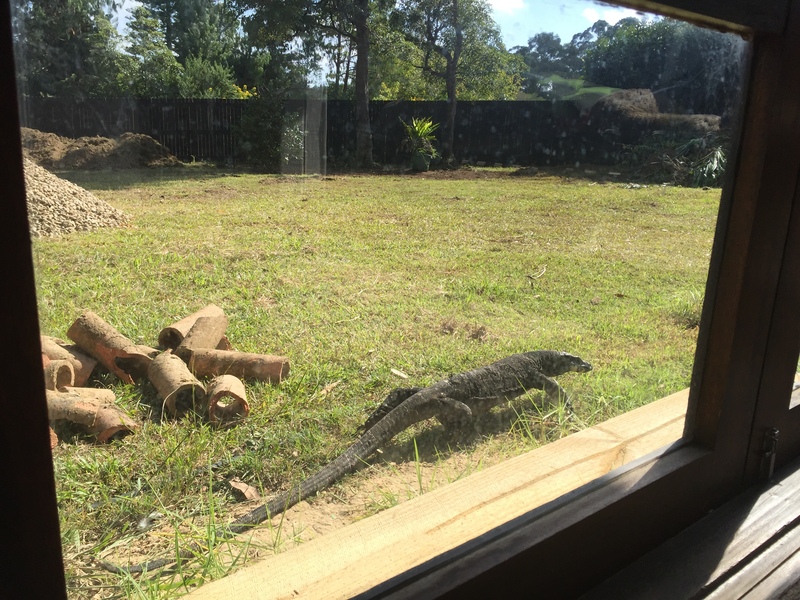 The weather was good, we’d nailed down a start date with the builder and started talking to the window manufacturer to place our order for the first set of windows and doors which would be needed by 8-10 weeks time. Our block is fairly flat, but it slopes gradually from the street down to the flatter area. Naively, I underestimated the digging we were soon to experience, while our stormwater engineers and local council massively over engineered the solution (bless their souls, they really do like spending other people’s money). The extensions we’re making imply extra roof area from which water will need to drain effectively. Since water can’t drain uphill to the existing street stormwater drain, we were required to dig a dispersion pit and 3 rainwater tanks will collect water and run to it. No big deal. A definitely improvement on our current box gutter and inadequate single down pipe. Except that the drainage pit required is 8 x 4 metres in size, and would need to be a metre deep. Yes, THAT BIG. As big as a pool. Sigh. Our lovely engineers even specified an uber-expensive drain and jumbo sized trenches…all of which cost a lot more than normal drainage grates and pits, and large (not jumbo) trenches by the same maker. Why thank you. This would not be the first time we discovered that engineering, by its nature, is almost always over-done in Australia in order to get through council with few-to-no questions or issues. Having travelled through Asia where drainage is an afterthought, I’m totally fine with over-specified stormwater planning…but we still have to squeeze this into a budget! So, off we go. 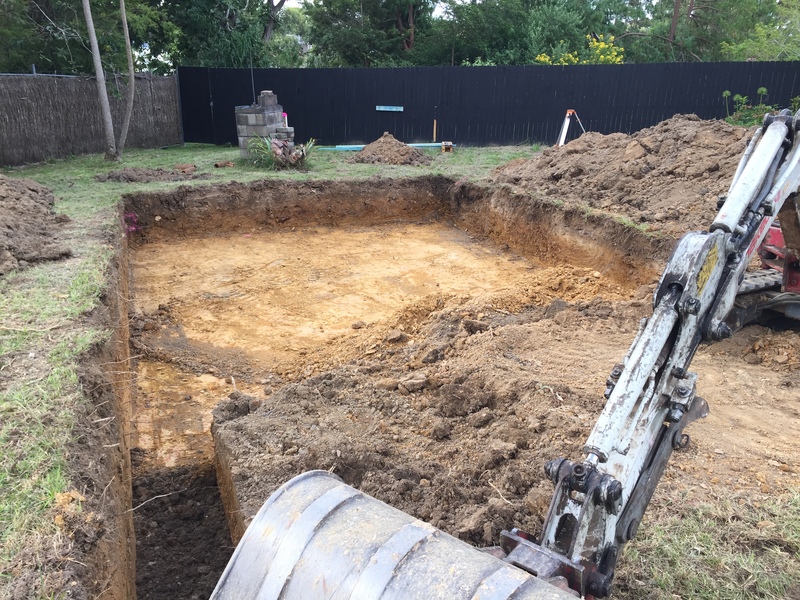 Our new excavator is soon to become an absolutely champion in our mind: digging both the drainage pit, then filling it with bluestone (another expensive option) and filling it with dirt after the trenches and plumbing is laid. Then, he dug the pool. And moved all the excess soil (boy was there a lot!) off site. And then prepared the foundation area for our extension. His work has been amazing. 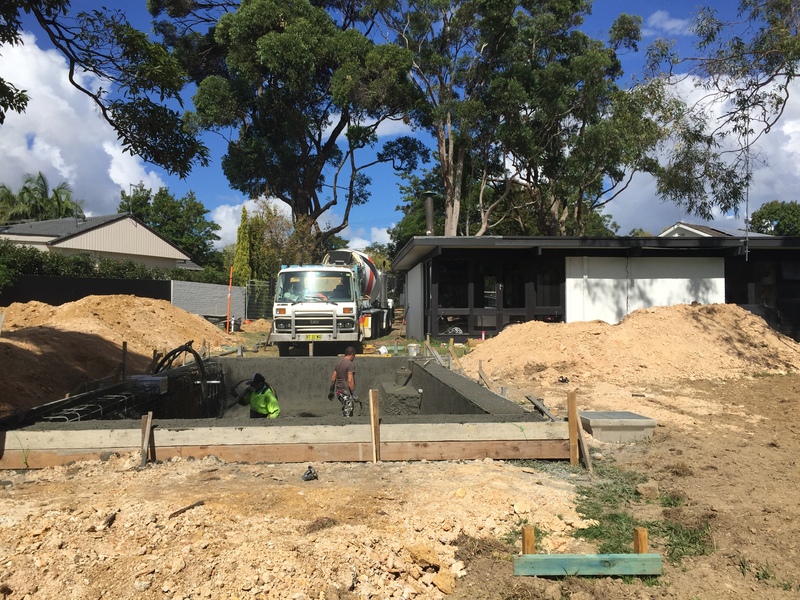 All up we expect to spend $10,000 – 15,000 on earthworks and frankly, for the amount of dirt moved on our 1200+ sqm block – that is a very good outcome. He’s charged us by the hour and it’s helped us manage cash each week. 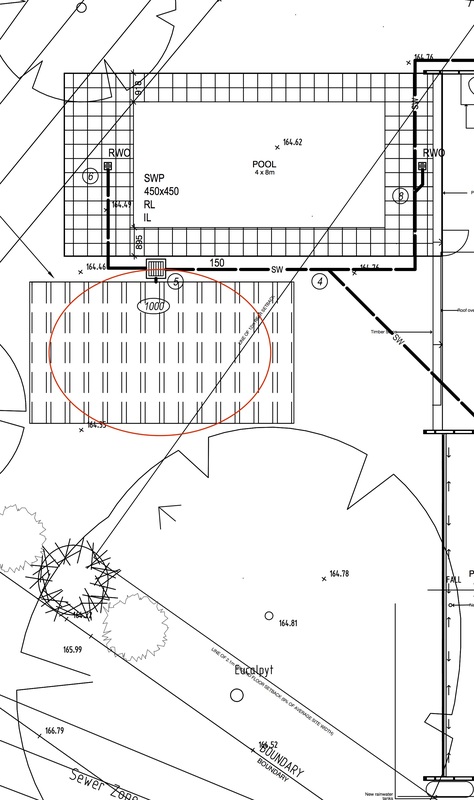 As a side note – we spoke at length with our stormwater engineers and certifiers and confirmed the large trench pipes would be sufficient (we needed 42 and even the plumbing supplier nearly dropped the phone upon hearing that 42 x jumbo trenches had be spec-ed!). And river rock was just as good as blue metal for the fill, and a fraction of the price per tonne. Say hello to a giant hole, and that’s just for stormwater drainage. 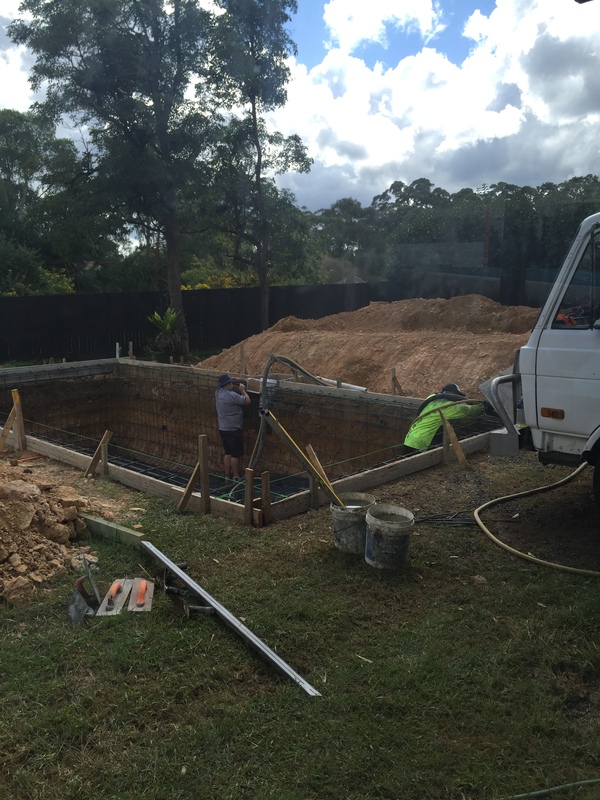 Soon after the drainage pit was filled, the pool was dug and our pool contractors began structural work – they were amazing! 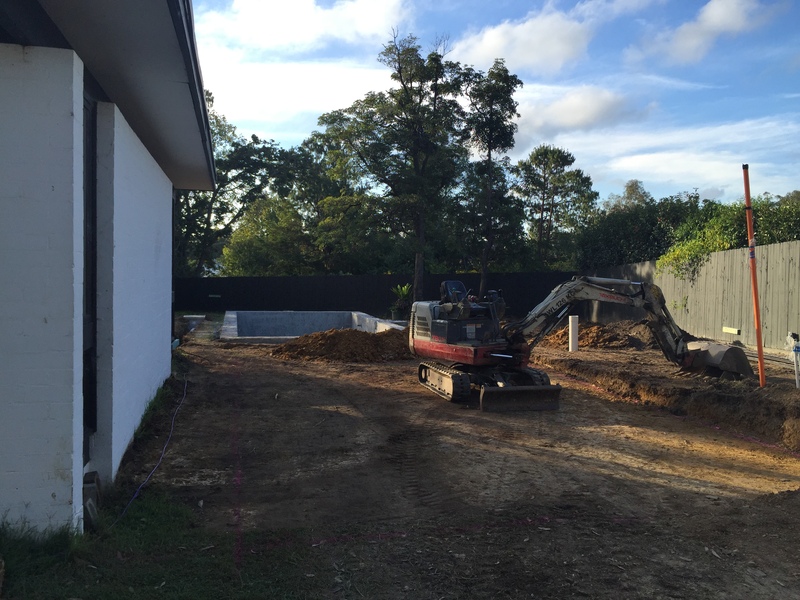 With the pool now curing, we were able to start the foundations for the extensions in late April – yay!